Norbert, one of our founders once found himself in front of a billboard promoting a local music festival. The billboard itself looked interesting but didn’t provide a lot of information and the website wasn’t exactly mobile friendly. That’s how the idea for LineUpr came to life. We wanted to create an easy do-it-yourself platform, which allows small and medium sized events to create their own mobile event guide for a reasonable price. The name LineUpr stands for the easy way to communicate your Line up (and more) with your guests. 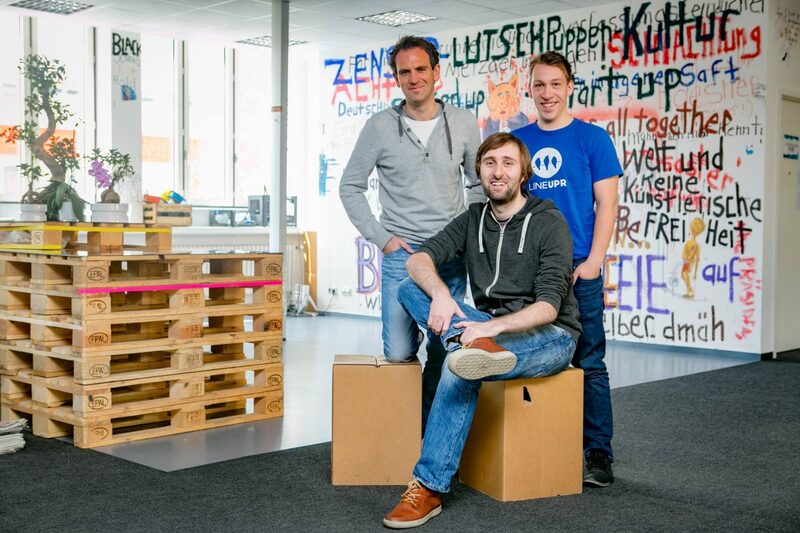 The three founders of LineUpr are Norbert, Philipp and Eric. Philipp and Norbert studied IT together at the TU Dresden. After having finished their diploma they both worked in different jobs. Eric studied business economics at the TU Dresden. The three came together in 2014 to found LineUpr. During the first two years most of the time was focused on the creation and optimization of the platform itself. Having finished the main structure, more energy is put into acquisition and sales now. How do you sell your services? One of LineUpr’s biggest advantages might be it’s wide target group. All kinds of events, from music festivals to business meetings or medical conferences are potential clients. Concerning our marketing we both directly contact upcoming events, as well as partnering up with several locations. LineUpr is an intuitive content management system. Depending on the size of your event you’re able to create your mobile event app within 30 minutes. LineUpr allows you to create a user-friendly web app through which you can present your event’s schedule, location, line up, partners / sponsors and do surveys to get valid feedback from your guests. Your guests have all important information right in the palm of their hands. LineUpr is easy to use and doesn’t require any coding skills. The platform is online and working smoothly. Nevertheless creating such a tool is a never-ending story, since there is always room for improvement. It is fulfilling to see people successfully using our product and the feedback so far is overwhelming. Any advice for the new entrepreneurs? Believe in your idea and keep telling people about it, whether they want to hear it or not. This increases your chance to meet people, who might be helpful in the future. Remember that start ups are very rarely a smooth ride with sunshine and butterflies along the way. Expect doubts and hard times but never lose focus on the bigger goal. You can’t make everyone happy and neither shouldn’t you!